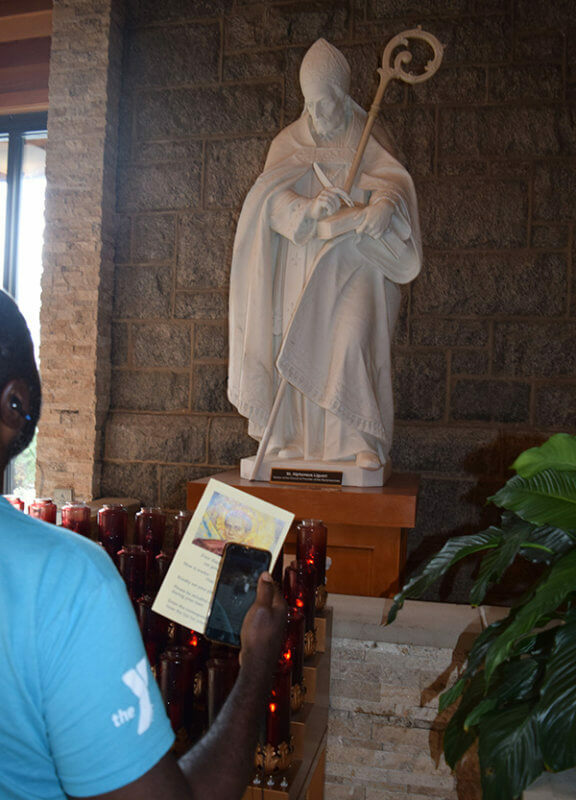 “Guide by Cell” at St. John Neumann Shrine is a guided audio tour available on your own cell phone. To take the tour, dial 215-866-1971 and use your phone—whether you’re at home or at the Shrine—to learn more about the Shrine. While you’re on the phone, enter any item number from the list below, and you’ll hear a brief description given by one of our Redemptorist priests. Often people tour the Shrine and then refresh their memory of the visit by listening to the “Guide By Cell” tour at home.